If you’re using Keynote to create slides for your next presentation, you’ll probably want that presentation to engage your audience. When it comes to beautiful presentations, design can play an important role in attracting the audience’s attention. But if you’re not a professional designer, your presentation design might not stand out. 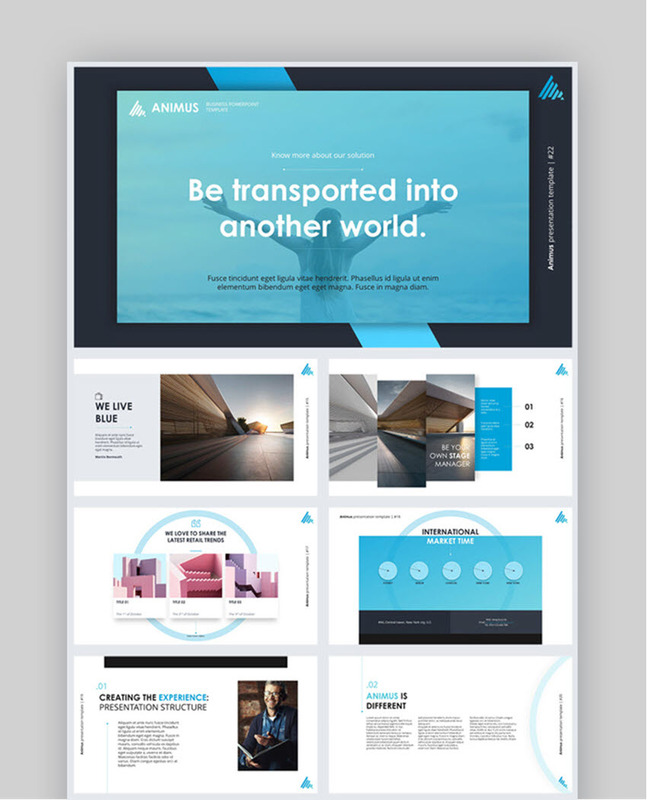 The Rockefeller template on Envato Elements is just one of hundreds of beautiful presentation templates available for Keynote. You may be thinking “I can’t afford to hire a professional designer to create Keynote templates for my slideshow.” An attractive, eye-catching slideshow is less expensive than you think. With a premium Keynote template from Envato Elements or GraphicRiver, you get a ready-to-use, unique template that’ll be attractive and professional. Just add your own information and you’re ready to go. 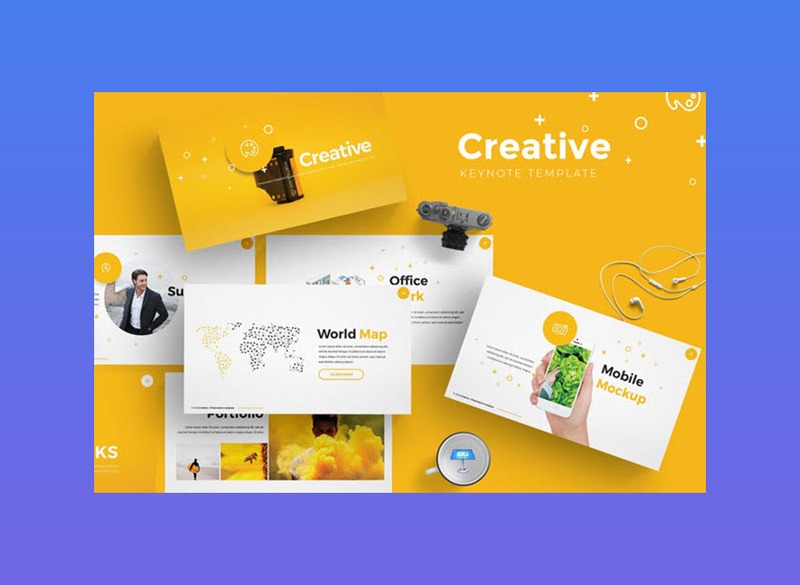 In this article, you’ll get a preview of 20 of the best modern Keynote presentation templates to help you make your next slideshow stand out. If your next presentation needs to be professional and unique, you’ll want to turn to the many beautiful Keynote templates available for purchase on Envato Elements and GraphicRiver. 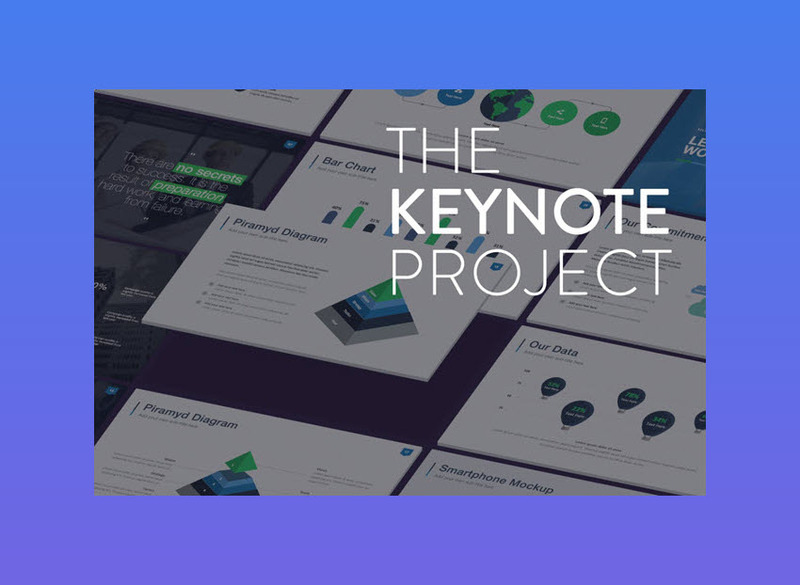 You may be tempted to rely on free Keynote templates for your presentation, but professionally-designed Keynote templates will help you get your presentation ready quickly. Plus, they’re surprisingly affordable since you’ve got unlimited access to presentation templates for Keynote (and other great resources) for one low monthly fee. 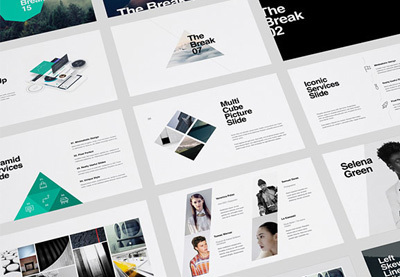 Just some of the beautiful Keynote templates available through Envato Elements. It’s also critical that you’ve got the right resources to help guide you through the process of making an effective Keynote presentation. Grab our new eBook: The Complete Guide to Making Great Presentations, which will help you write, design, and deliver the perfect presentation. 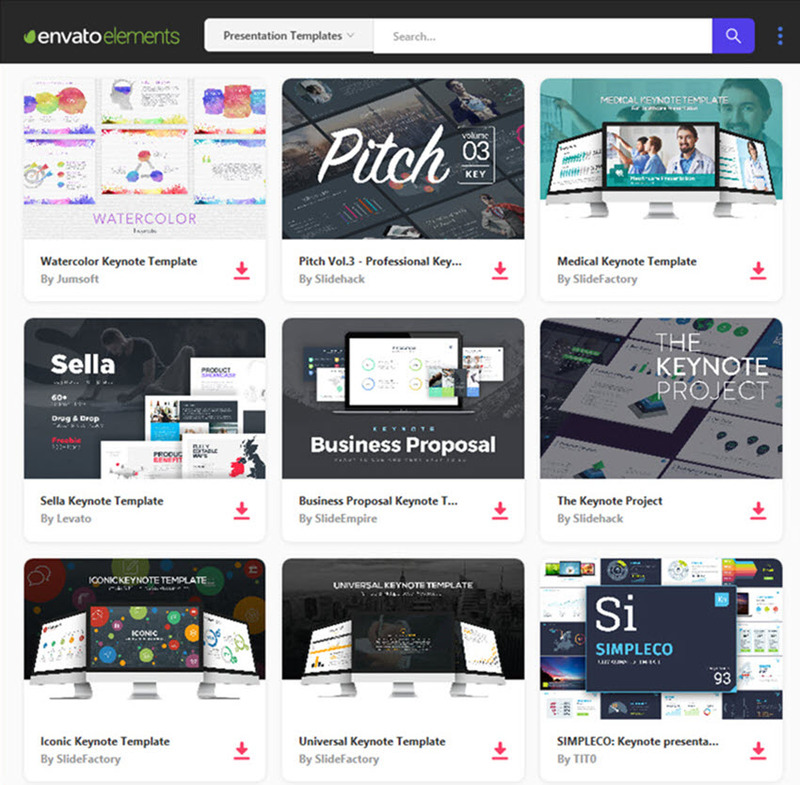 The modern Keynote presentation templates from Envato Elements on this list feature beautiful Keynote design that’ll put your presentation in the spotlight. You’ll also find plenty of customization features so you can show your knowledge and establish your expertise. I’ve curated a mixture that combines the best new Keynote themes with some of our most popular Keynote presentation templates. This beautiful Keynote template will add a touch of artistic flair to your next Keynote presentation. 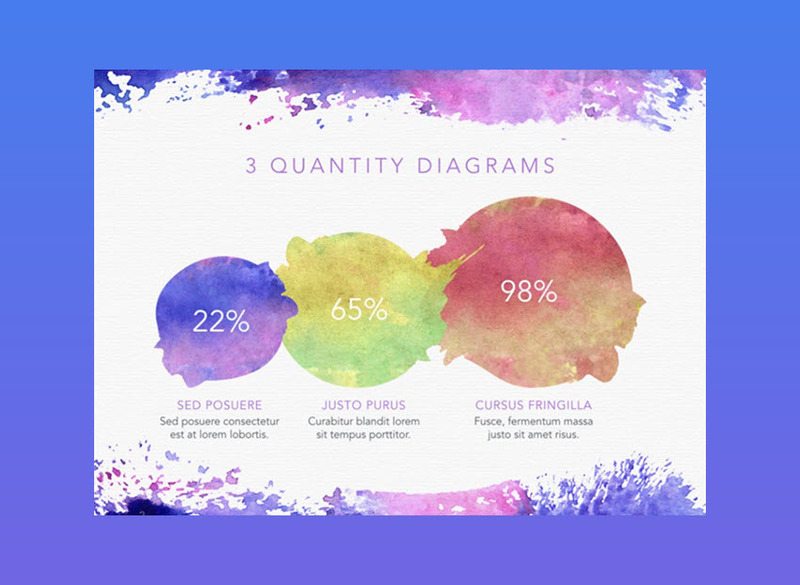 The Watercolor Keynote Template is perfect for creative professionals or any business that wants a unique look for their next slideshow. The professionally designed cool Keynote templates include matching charts, diagrams, tables, and other visual components to help you get your message across. Choose from between two different slide sizes. 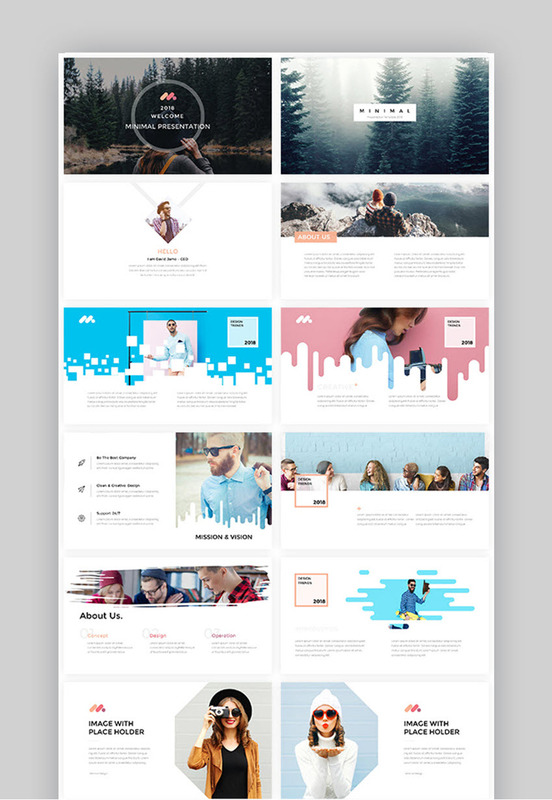 This popular Keynote template will give your presentation an added edge because it’s fully animated. 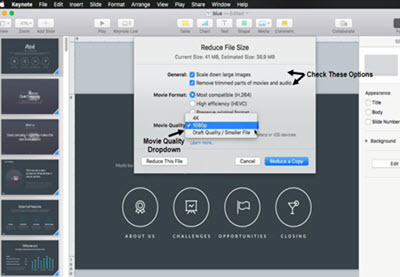 Plus, this template is easy to make your own—simply drag and drop to change the image. There’s even a device mockup with a customizable screen. It’s based on free fonts such as Sosa, Entypo, Calibri, and more. Use the PDF quick guide to develop your Keynote presentation quickly. 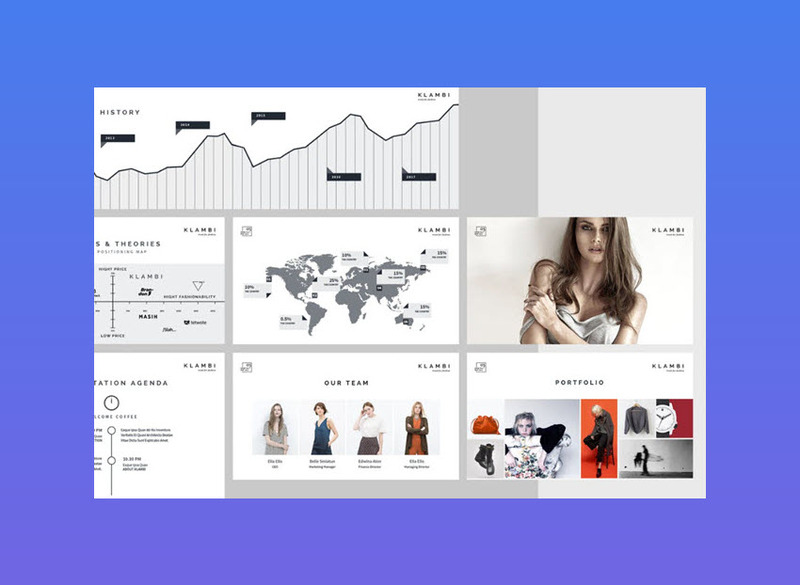 Whether you’re planning a fashion presentation (or other creative presentation) or just need a cool Keynote presentation design for a professional presentation, this Fashion Keynote template has a lot to offer. 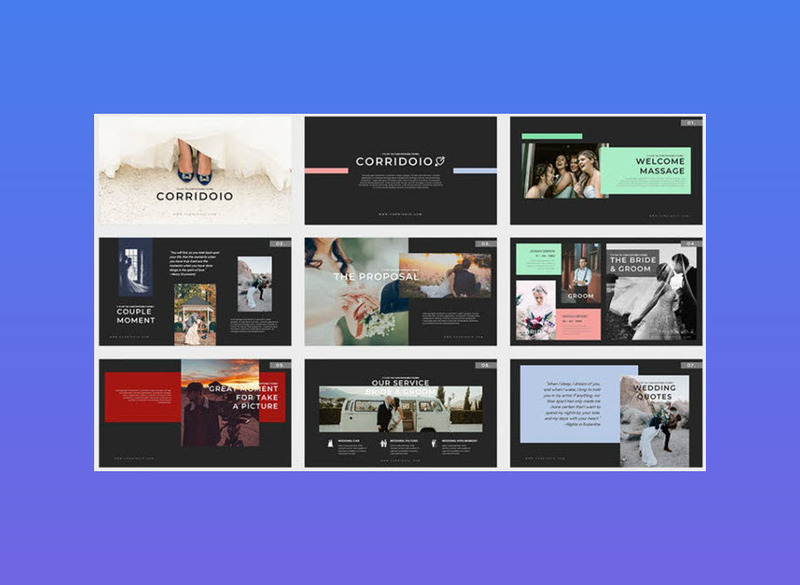 Your slideshow will benefit from the modern typography and layouts. Choose from various color schemes including black, gold, pink, and purple. Plus, this cool Keynote template is easy to customize so you can make the slideshow your own. Don’t miss this print-ready Keynote presentation template. Here’s a high-impact presentation template to help you create amazing Keynote presentations. Use it for creative businesses or for any visually-oriented slideshow. The template includes the vector shape illustrations for use in the slideshow only. This beautiful Keynote presentation is designed for a widescreen format (16:9 ratio). Add your own information to this easy-to-edit template. 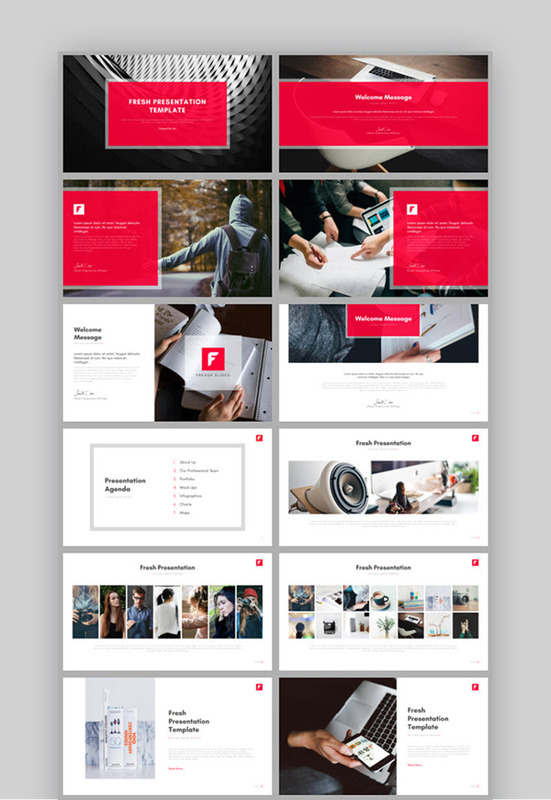 Here’s a cool Keynote template set with a bright, creative look. All slide designs are based on master slides. Graphics include handcrafted infographics. Plus all graphics are resizable and editable. 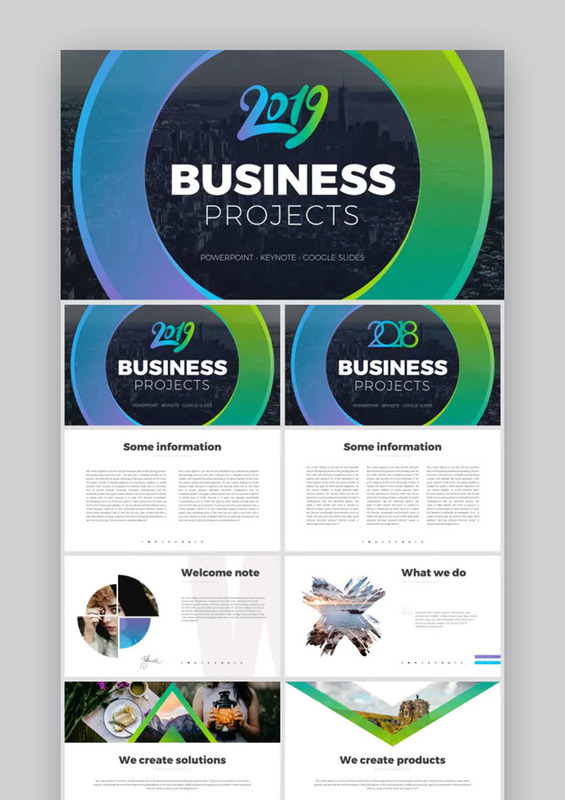 You’ll also benefit from unique slide designs such as a gallery and portfolio slide and even section break slide layouts. There are over 120 total slide designs in all. 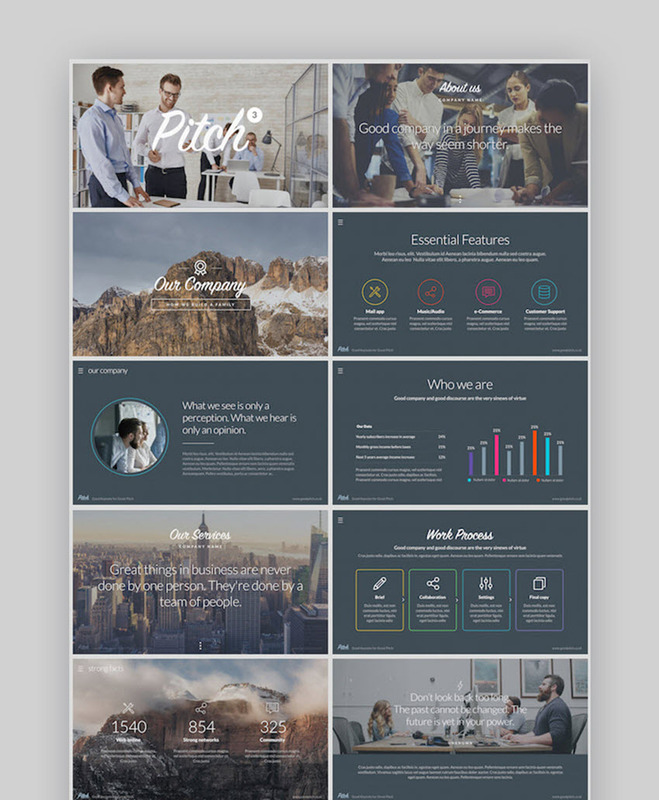 This modern Keynote template has an elegant minimal design that’s sure to give your presentation a professional edge. Use it to enhance any type of business or personal presentation. It’s based on Master Slides for consistency and ease of use. All graphics are resizable and editable. Plus, there’s no need for any other software. 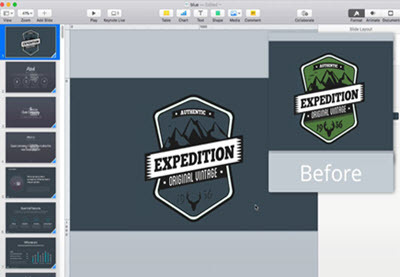 You can customize the presentation right in Keynote by adding your own images and text. Are you looking for a Keynote presentation template you can use for your promotional slideshows? 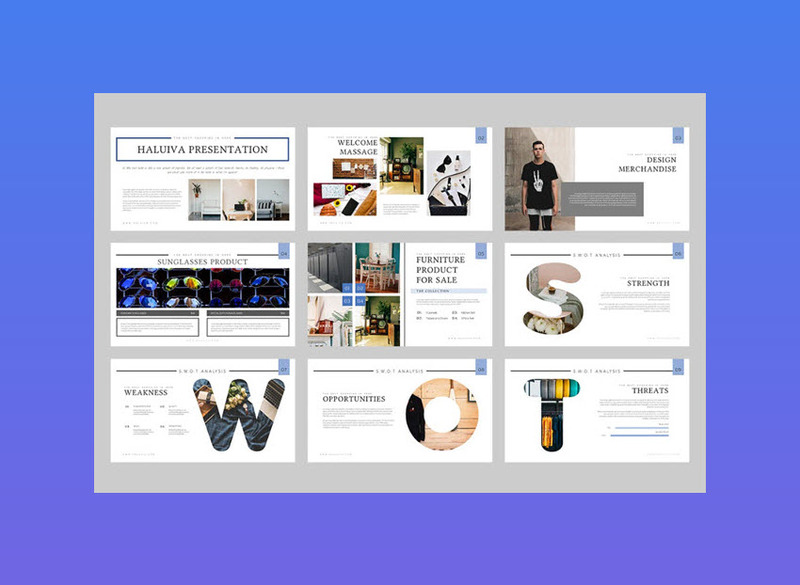 The Haluiva Pitch Deck Keynote Template is an extremely effective option for sales and marketing presentations. 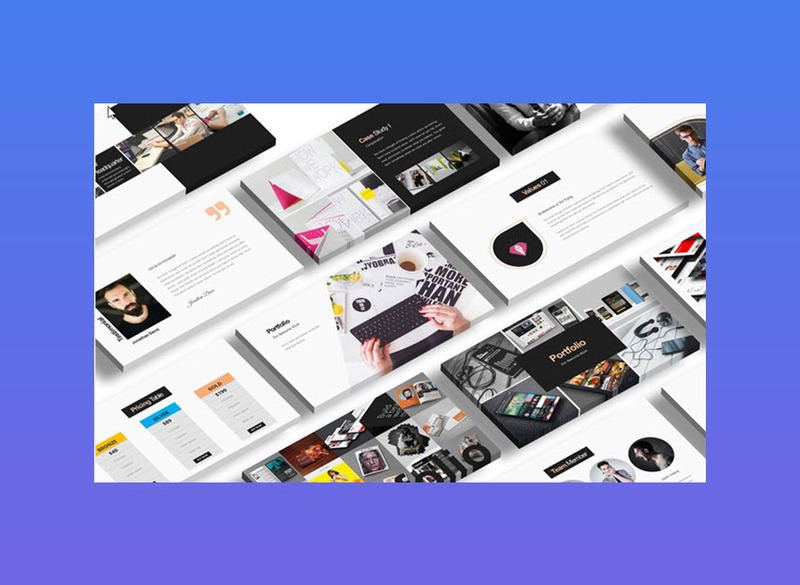 It’s got 30 unique Keynote slide designs, two different color themes, and drag and drop UI image placement—to mention just a few of its easy-to-use features. If you’ve got to make a positive impression, don’t miss this template design! If you prefer to purchase templates on an individual basis or simply want to check out more beautiful Keynote designs, check out the Keynote presentation templates we’ve got over on GraphicRiver. If you like choices you’ll want to consider the 10 in 1 Pitch Keynote Bundle for your next presentation. This bundle contains a total of 48 templates and each template includes color theme variations. 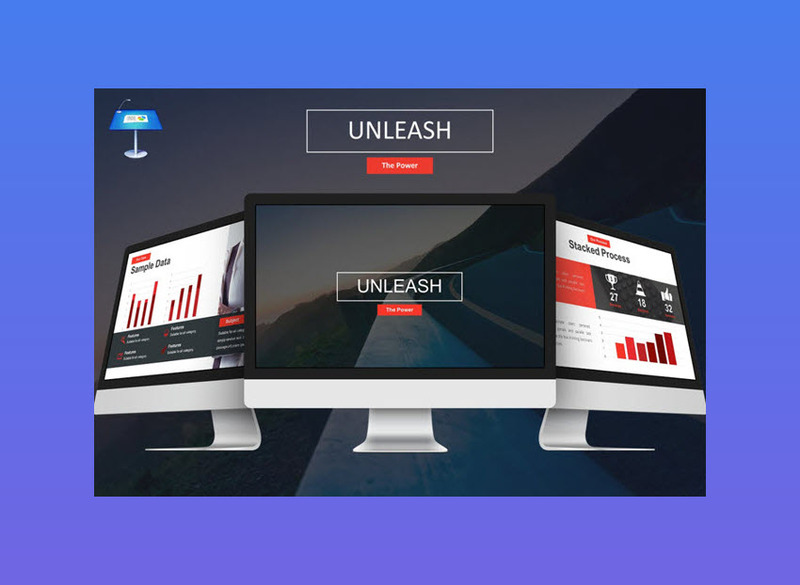 With this awesome Keynote presentation template, you get a mind-boggling 3600 total slides to choose from! Each slide is easy to customize and includes transitions, font icons, free fonts, and more! I will pin it on Pinterest! 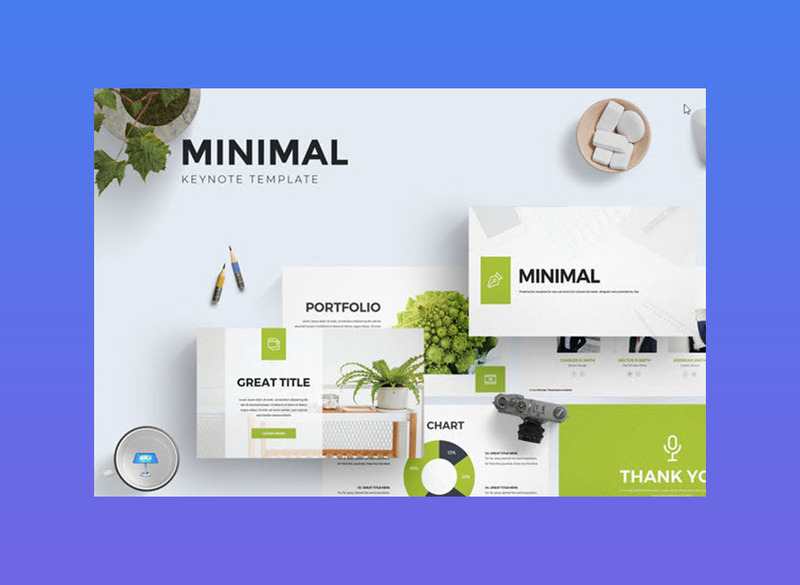 If you’re looking for minimal Keynote template that’ll make a real impact, don’t overlook this one! Are you looking for a minimal Keynote presentation template to highlight your creativity? 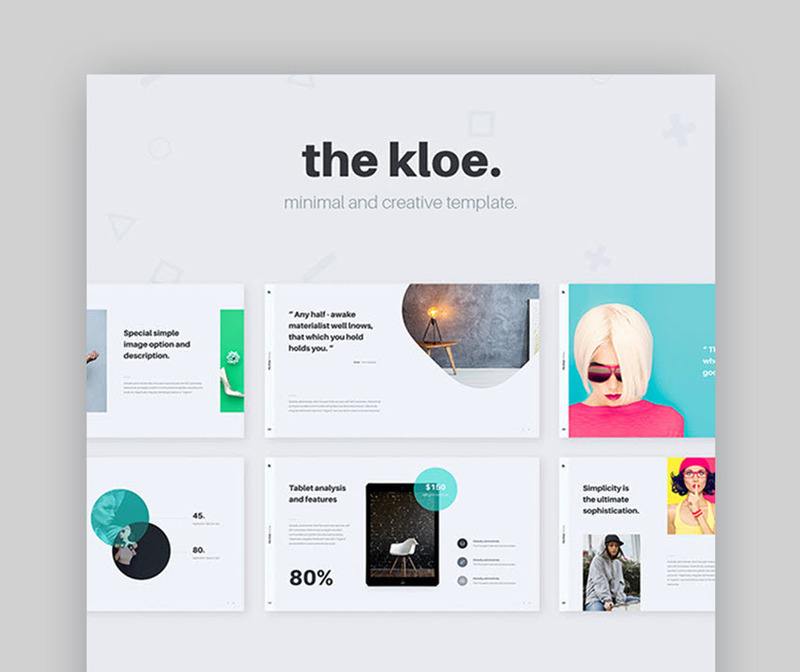 The Kloe presentation template is a great choice for professionals and creatives alike! 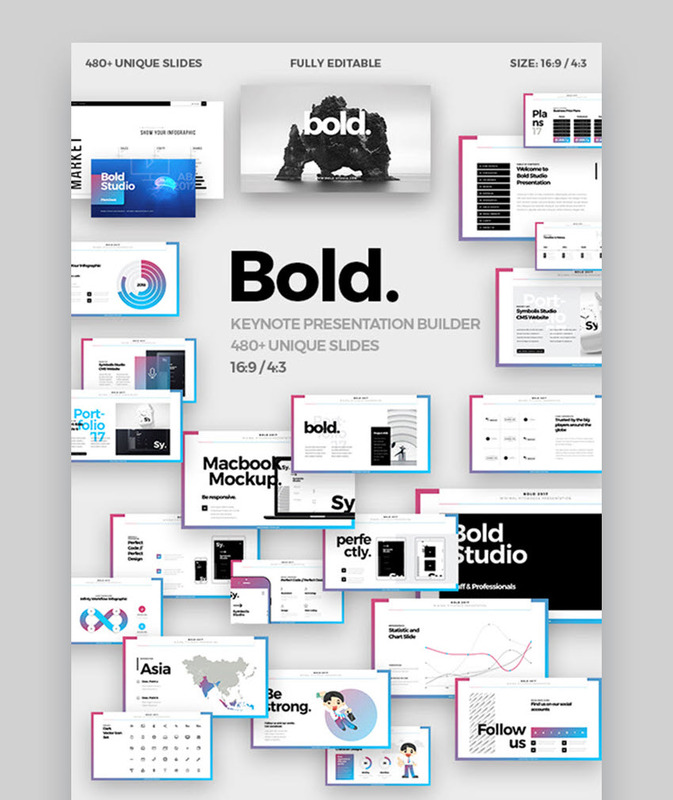 This beautiful Keynote template will help your next presentation to be a hit. It features over 120 different slides including infographic layouts, data charts, portfolios, a price table, and more. With its focus on readability and meaningful design, the Kloe will help make your next slideshow unique and interesting. 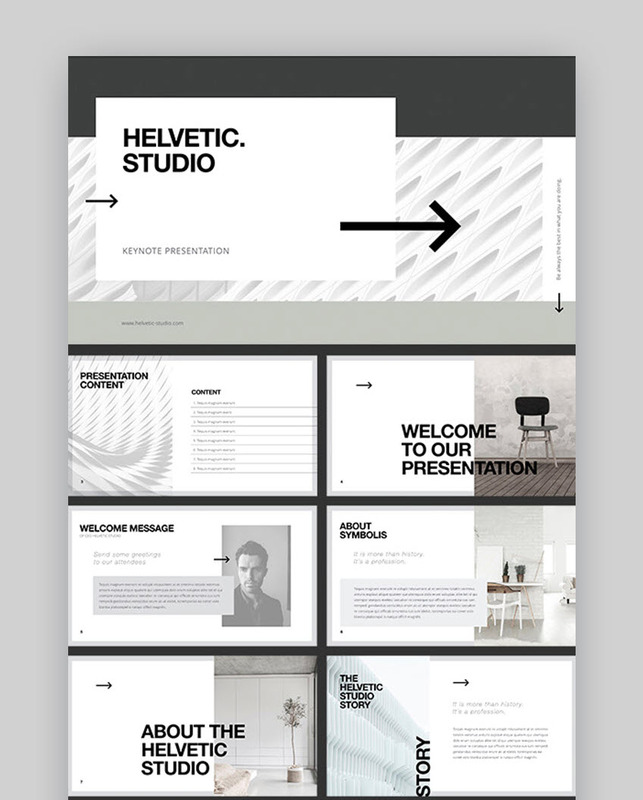 Helvetic Studio is one of the many awesome Keynote templates on GraphicRiver. With its clean design and classic modern look, you’ll find this Keynote template to be suitable for nearly any slideshow project. The files include device mockups, maps, infographic shapes, and more! Plus, it’s easy to customize the unique slide layouts with your own information and images. 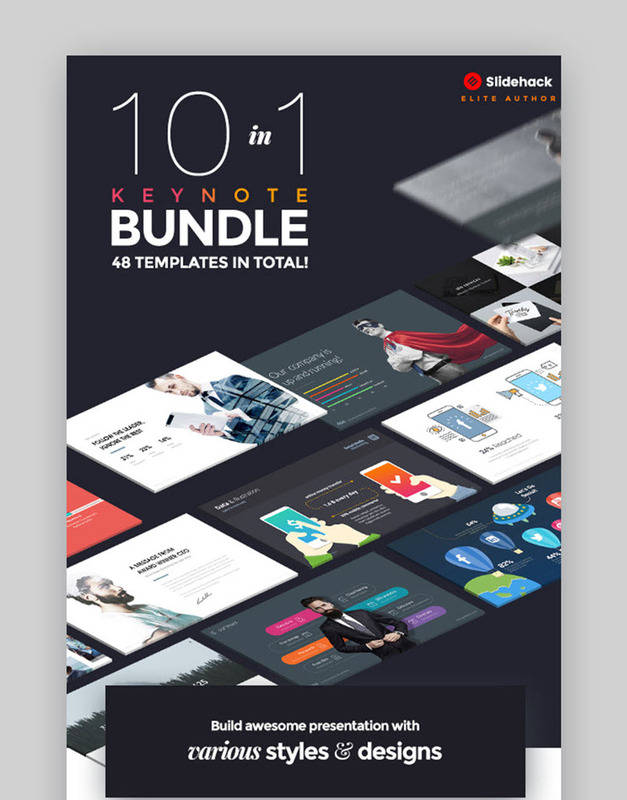 This template bundle for Keynote has lots to offer. Start out by selecting the right color choice for your needs from the 24 available color schemes. Next, pick and edit the slide layouts you need from among the over 420 unique slides including graphs, charts, tables, and diagrams. There are also fully editable maps. There’s a slide for nearly every presentation need! So, if you’re looking for the right presentation template for Keynote be sure to check this one out. 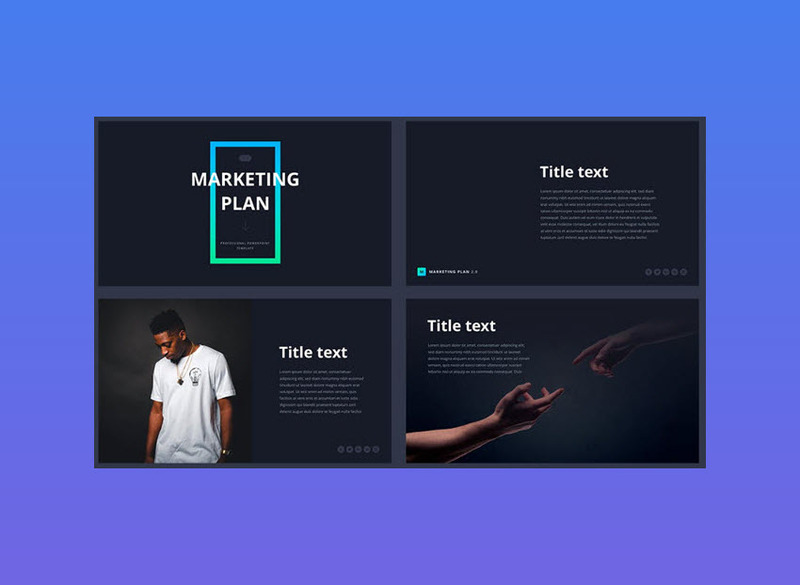 This professional pitch desk template for Keynote has nearly everything you might want in a business presentation template. 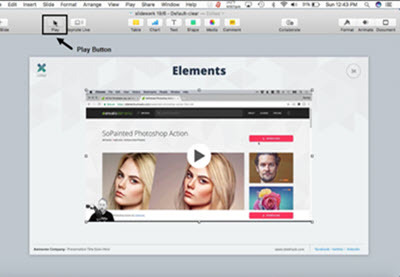 It’s easy to use and edit with drag and drop editing and auto-adjustment features. There are five ready-made color schemes included. The transition animation is carefully and thoughtfully done. Plus, you’ll find that it includes infographics, device mockups, and even maps. The Fresh Multipurpose Keynote Template includes 135 unique slides, plus there are dark and light versions of each slide. But it’s easy to change the slide color to meet your own business requirements. It’s pre-designed for a widescreen HD ration (1920 x 1080). This Keynote template is based on free fonts. Plus, it includes detailed documentation, making it extra easy to use. 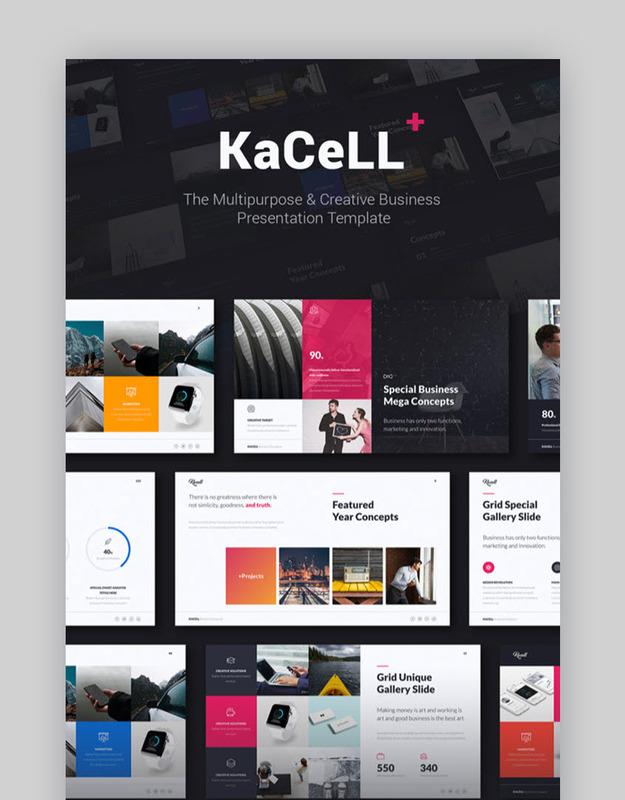 It’s no wonder that customers love this Keynote template when you consider the many features it has to offer, such as over 200 unique slides, over 50 color variations, and over 12000 icon fonts. Plus, it includes fast and free support. 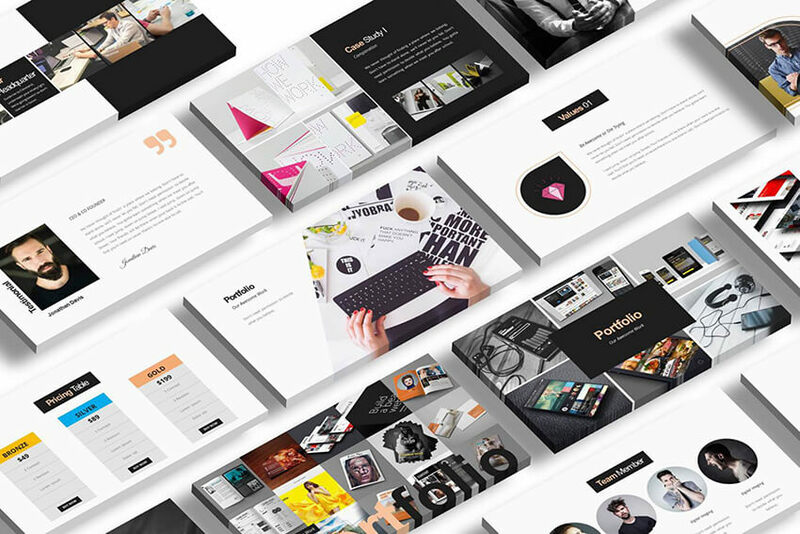 This elegant new Keynote template is perfect for a wide variety of industries including fashion, creative agencies, startups, and more. 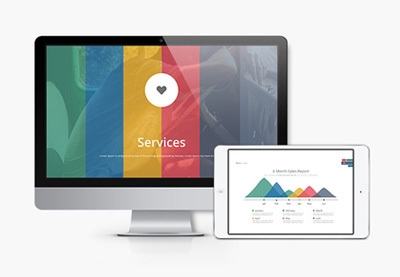 This template features a minimalist design and eight color schemes. Plus, there are over 1,000 creative icons to choose between. You can even find unique slide layouts to make your presentation memorable such as puzzle diagram infographics. And the template includes full animation. Whether you’re just learning Keynote or are a seasoned user, these Keynote tips and tutorials will help you to get more from the presentation software and truly customize your Keynote template design. Has this ever happened to you? You’ve got the perfect image to use in your presentation, but the background is all wrong. Maybe the background is too distracting from the main image. Or maybe the background contains objects you don’t want in your presentation. We have just the right complement to a creative PowerPoint template, that’ll help you learn the complete process of how to write, design, and deliver great presentations. 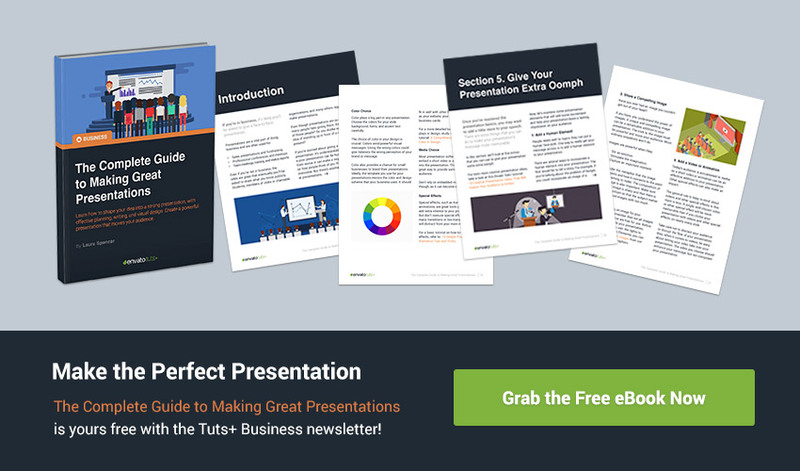 Download The Complete Guide to Making Great Presentations now for FREE with a subscription to the Tuts+ Business Newsletter. Get your ideas formed into a powerful presentation that’ll move your audience. Grab Your Next Keynote Presentation Template Today! If you’ve got an upcoming presentation and you know you’ll be using Keynote, you can make sure your slideshow looks good. Modern Keynote presentation templates from Envato Elements or the GraphicRiver marketplace can help make your presentation more effective and give it the edge you need. Editorial Note: Our staff updates this post regularly—adding new and cool Keynote templates.